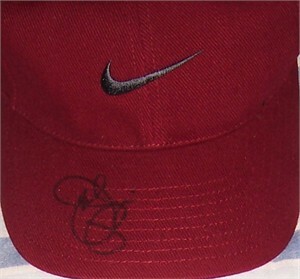 Red Nike cap autographed on the bill in black marker by actor Joe Pesci. Obtained in person at celebrity golf tournament. With certificate of authenticity from AutographsForSale.com. ONLY ONE AVAILABLE FOR SALE.